2016 Citroën C4 Cactus 1.2 Puretech 110 Rip Curl review | What Car? 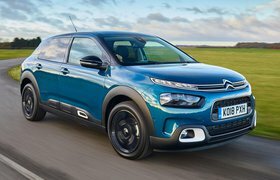 The Citroën C4 Cactus has been on our roads for more than two years and won admiration from buyers for its funky, rugged SUV looks, relaxed ride and low running costs. So how will a new top-of-the-range Rip Curl special edition fare? Rip Curl is a famous Australian surf brand and is synonymous with long sandy beaches and rip-roaring waves found at the likes of Byron Bay, and it has now lent its famous livery and name to the Cactus. The Cactus gets Rip Curl transfers on the front wings and C-pillars, white door mirrors, white roof rails (which look like inverted skis) and 17in diamond-cut alloys wheels complete with Goodyear 4Season Mud+Snow tyres. On the inside there are orange seatbelts, floor mat stitching and stereo speaker surrounds. As standard, the Rip Curl gets a panoramic sunroof, reversing parking camera, rear parking sensors, automatic air conditioning, sat nav and cruise control. You can choose from five exterior paint colours (only one of which is a no-cost option) and two engines: a 1.6-litre BlueHDi 100 diesel and a 1.2-litre PureTech 110 S&S petrol, each of which get a five-speed manual gearbox. We’ve tested the 1.2-litre 108bhp petrol engine to see if the Rip Curl is as cool in Brighton as it is in Bondi. 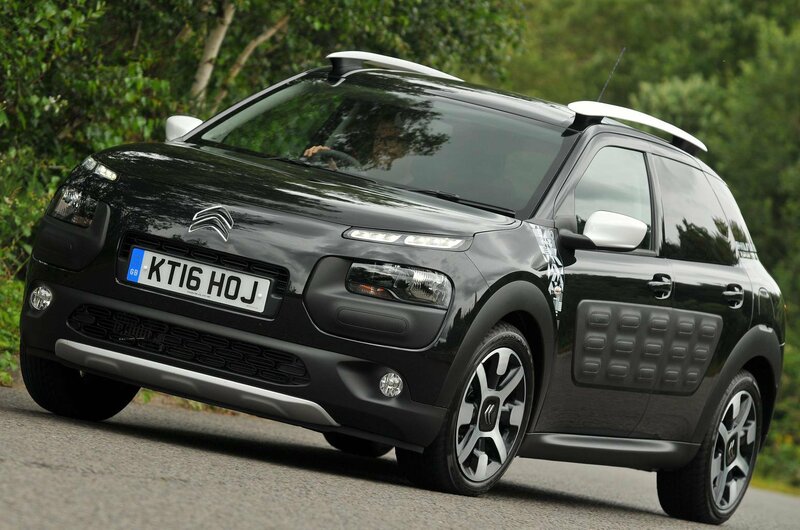 What is the 2016 Citroën C4 Cactus Rip Curl like to drive? Nothing much has changed over the current car, other than the introduction of a new traction control system, which is designed to let you get nearer to those ideal sporting spots. The Grip Control system allows you to select between Snow, Mud and Sand modes to give you optimal traction on those surfaces. In addition, the Goodyear 4Season Mud+Snow tyres give added traction, although the Rip Curl remains two-wheel drive only. In the dry there’s enough traction to avoid wheelspin away from junctions and through corners, but the Cactus is set up for comfort and as a result has too much body lean. Take a roundabout too fast and your passengers will be complaining about being unceremoniously thrown about. The steering is usefully light around town and makes navigating a tight multi-storey car park a simple task to complete. At higher speeds, though, it offers little feedback and feels inconsistently weighted. What does work well is the turbocharged 1.2-litre petrol engine. It’s a perky little thing that offers almost diesel-like low-down pull, yet will rev high and freely like a petrol. There’s plenty of torque to ensure there’s generally enough grunt on tap for overtaking or ascending hills. It’s also quiet around town but has a pleasant growl under harder acceleration. The five-speed gearbox works less well as it feels notchy and has a long and lazy throw. 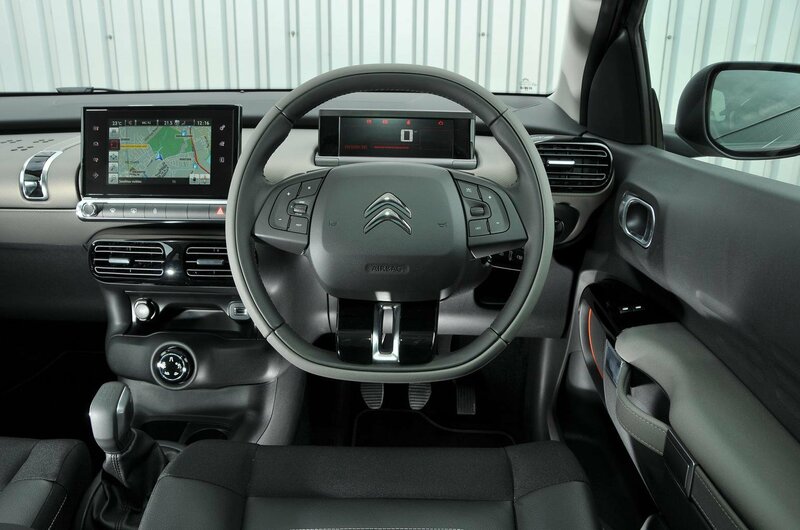 What is the 2016 Citroën C4 Cactus Rip Curl like inside? Really interesting but ultimately flawed. The dashboard is unlike anything you’ll have seen before. It’s reminiscent of a two-toned writing desk that stretches from door to door, with Notebook and tablet computers resting on top. The Notebook is actually a digital instrument panel that sits behind the steering wheel. It's low and narrow, displaying the speed numerically, it has a fuel guage and it tells you when to change gear. Annoyingly, there’s no rev counter. In the centre of the dash is the tablet-like 7.0in colour touchscreen, which controls the ventilation, music, sat-nav, trip computer and settings. 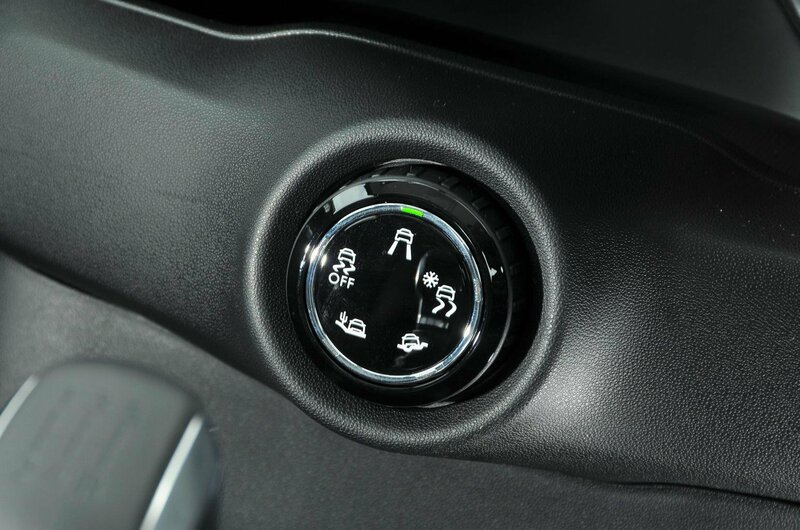 It means there are only three conventional buttons on the dash: front and rear demisters and hazards warning lights, with the touchscreen controlling all the rest. Lower down is a cubby with a UBS connector for your smartphone. Completing the desk is a glove box that looks like the top of a luxury treasure chest, with leather-look straps, stainless steel buckles and studs. The straps are repeated on the doors to form the door pulls. It all looks modern and classy, but it’s mostly an illusion, albeit an appealing one, as the materials used are hard and cheap. The deficit of cup holders is startling, with the only one – yes, one – struggling to take even a medium-size takeaway coffee cup. There’s a large and mostly comfortable seat, which has plenty of height adjustment. What ruins the driving position, though, is the failure of the steering wheel to adjust for reach and the position of the foot pedals, which aren’t recessed far enough into the footwell. This can leave you sitting too far away from the wheel yet still too close to the pedals. 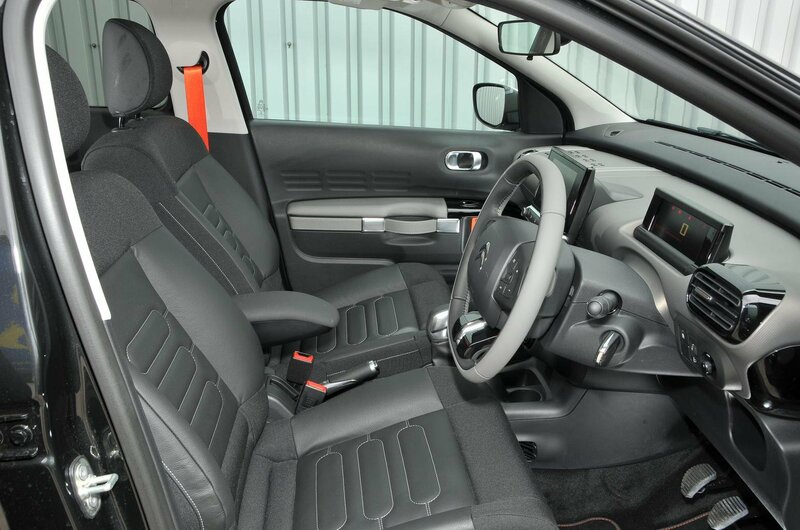 There is, however, plenty of head room in the front and the cabin is spacious, while forwards visibility is excellent. The over-the-shoulder view is hindered by a large C-pillar, but at least the standard rear parking camera makes up for that. In the back the amount of space is less impressive. Taller-than-average adults will find that head room is lacking and that knee and leg room is nothing more than average. The windows are side hinged and will only provide limited ventilation. The boot is well sized and will take all your wetsuits, life jackets and boogie boards. It’s square but deep, meaning there’s a large lip to get over when loading and unloading heavier items. The back seats split 60/40 and fold – but not flat – and there’s a significant lip between the boot floor and the folded seats. It'll probably appeal if you're often off the beaten track with all your sporting gear and don’t want to pay the premium for all-wheel drive. However, that apart, it’s difficult to recommend spending the £1775 over our favourite Feel trim. If you are convinced, then stick with the 1.2-litre petrol and consider adding roof bars for £127.50. 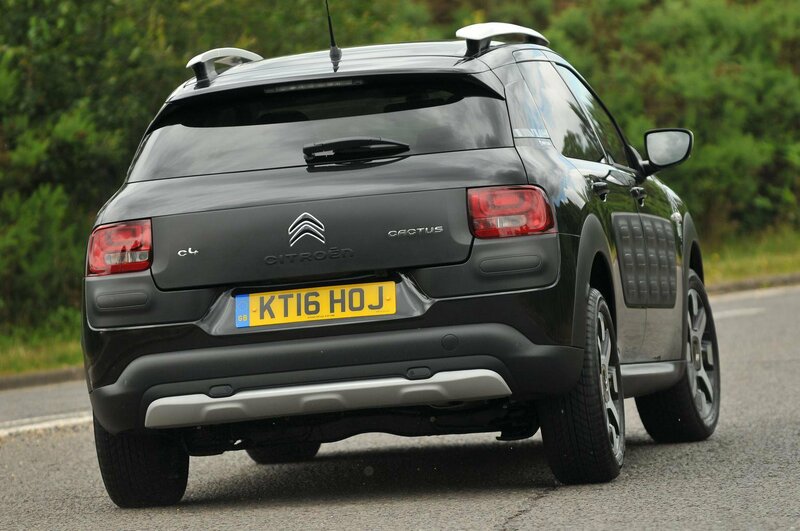 Citroën's optional Kayak carrier might be another worthwile extra, for £243. Ultimately, while loveable, the Cactus remains flawed against its rivals. A Skoda Yeti or Suzuki Vitara make better buys.